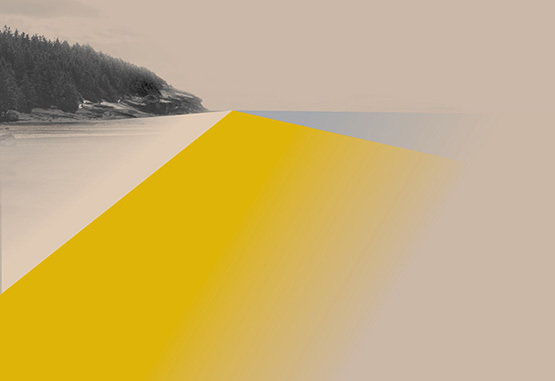 The Foreshore was initially conceived as a year-long collaboration between Access Gallery and Other Sights’ for Artist Projects inspired by the deep influence of the waterways on our cities and societies on the West Coast. For year two of The Foreshore, Other Sights is working with the Contemporary Art Gallery to present four additional events. These will pair returning speakers and guests of their choosing to deepen a generative and cross-disciplinary conversation. The “foreshore” describes the land along the edge of the water that is both submerged and revealed by the tide. Very simply, it is the wet part of the beach. The foreshore is a place of unclear jurisdiction, and thus of contestation, friction, and constant movement. Those who dwell in this zone must continually adapt to a changing environment. The foreshore also conjures histories specific to this region: narratives of trade and exchange, habitation and nourishment, resistance and violent erasure. It might similarly evoke our contemporary lived situation in this place. Considering the potential of this zone as both concept and site, The Foreshore initiative asks the following: how do we generate conditions of emergence? How can we take up space differently? How do we support unruly practices and futures? The Foreshore would like to acknowledge that the land on which we gather is the unceded territory of the Coast Salish peoples, including the territories of the xwməθkwəy̓əm (Musqueam), Skwxwú7mesh (Squamish), Stó:lō and Səl̓ilwətaɁɬ (Tsleil-Waututh) Nations.